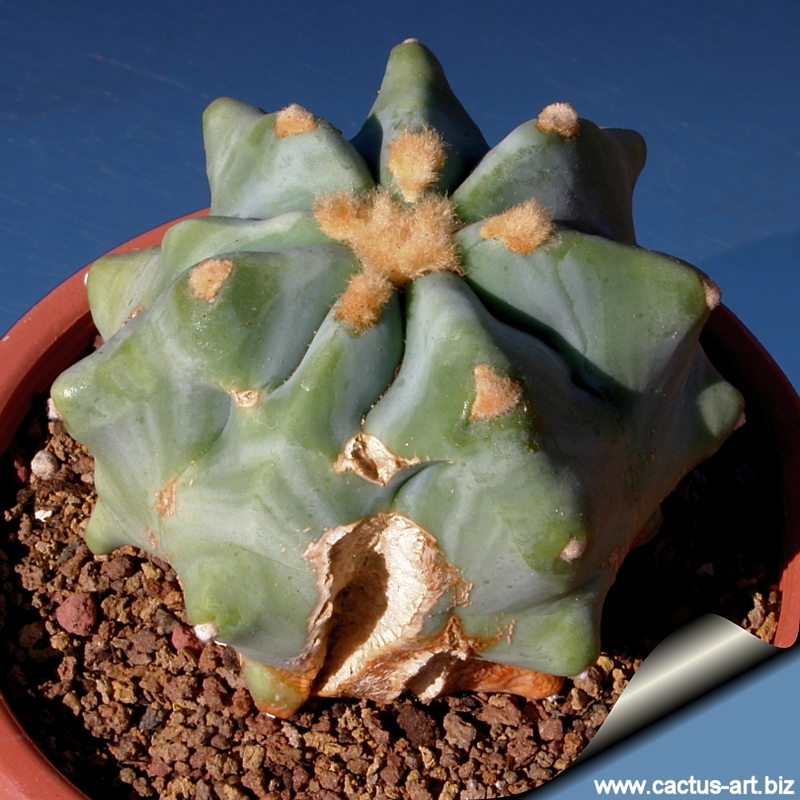 A beautiful and very rare cultivar with irregular ribs that split open giving rise to odd sculpturesque shapes. This plant can be raised only by seeds and is very rare and sought after by impassioned collectors. N.B: Do not confuse this odd cultivar with the common F. glaucescens forma nuda which is a completely different cultivar that is superficially similar only when very young. The unique charm of this plant will be revealed as it ages. 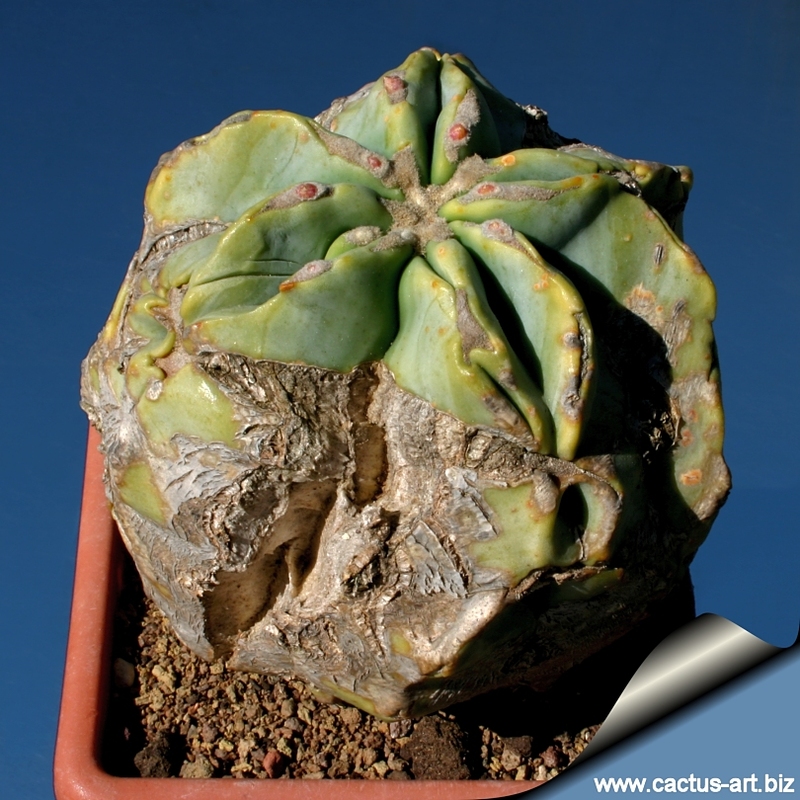 Description: The Ferocactus glaucescens forma mostruosa nuda is a strange solitary, barrel cactus that forms a beautiful stems, that looks like an old weathered rock. Stem: The younger plants are very similar to the common F. glaucescens forma nuda with spineless globular depressed glaucous grey stems, but the epidermis of this cultivars starts soon to split open assuming the appearance of a rock surface. and in a few years the plant take on a completely different appearance. The stem slowly grows up to 55 cm in height, 50 cm in diameter and may become shortly columnar as it ages. Ribs: 11 to 15 , but very irregular often fused together, suddenly broken or scratched with thin grooves. Areoles: Light orangish or greyish, long and often fused one to each other. Flowers: Lemon yellow, funnel-shaped, 3-4 cm in diameter. The tepals are oblong, lanceolate, silky, shining; the margins are finely fringed. Stamen, style and stigma are yellow. Stigma lobes: 12-15. Fruit: White, 2 cm long with the remnants of the flowers attached. The glaucous (blue grey-green) appearance of this barrel with the nice light orangish areoles makes it very easy to identify. 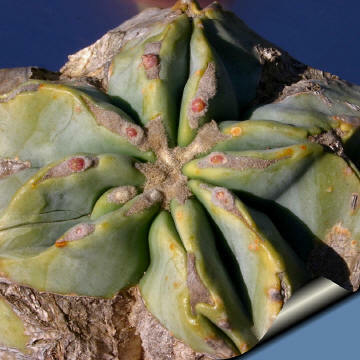 A mature specimen with developing buds. Cultivation: Plants are slow growing to start but are easy to grow and require little care once they have reached a nice flowering size. F. glaucescens is suited for any rich, well drained soil in full sun throughout the year. Pot culture: grow best in a fairly roomy, well-drained container filled with a porous cactus soil mixture that doesn't contain too much humus. To ensure robust plants water and fertilize during the aestival growth cycle, this plant need plenty of water (indicatively: about once a week) But it is necessary to avoid wetting the bodies of these plants while they are in sunlight. 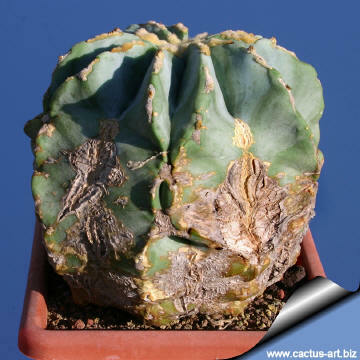 A wet cactus in the sun light can cause sun burning, which can lead to scars or even fungal infections and death. In winter keep completely dry at 10°C. 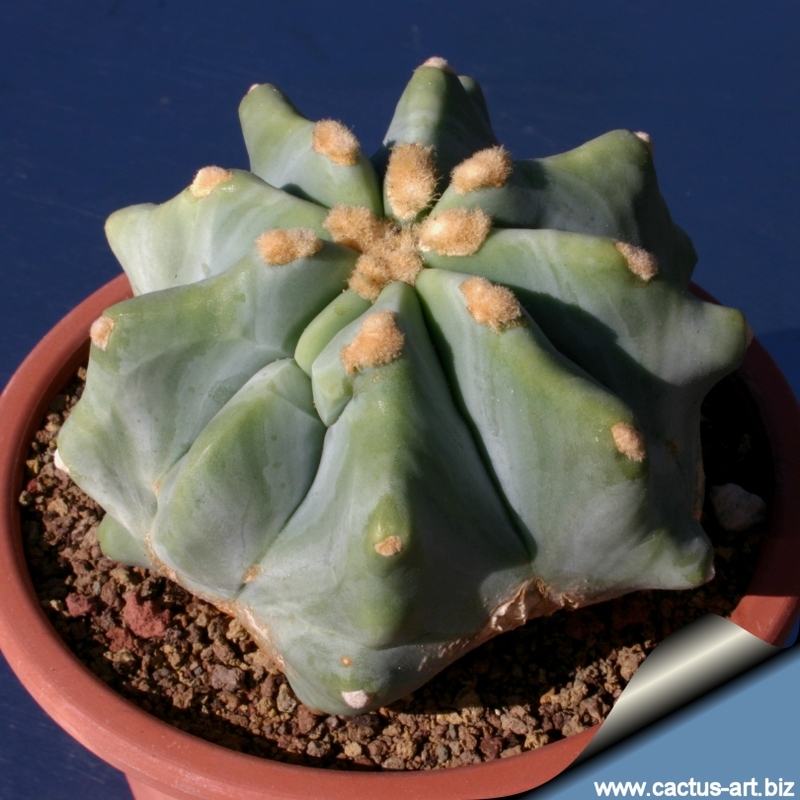 This usually aids in maintaining a healthier plant, but it can tolerate sporadic light frost. Propagation: Seeds are the typical way of reproducing. These cacti will easily grow from seeds and some from cuttings.